Many managers and executives stress over the many problems connected with keeping the privacy of info. When working with other people in a closed environment, keeping things secret becomes hard. There are several means to navigate safety measures from an internal viewpoint. Working with a virtual assistant minimizes the dangers connected to personal privacy violation. There is no need to institute additional protection strategies to safeguard vital information. The distance between administrator and assistant makes it easy to conceal confidential information. 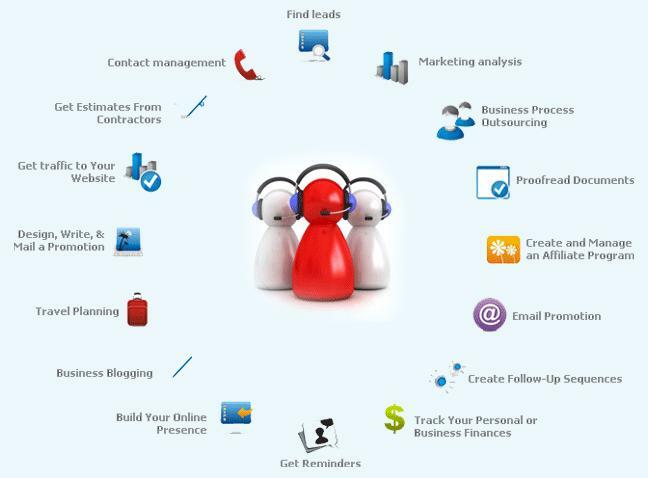 Virtual assistants do not need to find out every facet of the business operations. They just assist with particular activities and can not access the main framework to tamper with enterprise management. The only allowance they receive is what they need to handle. Transactions like virtual hiring are often not contractual. Commencement and termination notices show up through word of mouth without consequence to the hiring business. Most services take place in a project-based manner, meaning any activities accomplished exist only within the confines of a certain structure. Companies could opt to terminate the contract after the job is completed. Assistants forfeit and further compensation after the project or because of the nature of hiring. This eliminates liability from the hiring party to pay any money due in excess of the original quantity declared. Supervisors do not have to worry about any hidden costs or penalties with virtual hiring. Project-based assistance allows managers to save money on hiring more workers to take care of operations. Virtual help exists at prices lower than those paid to regular workers. Instead of paying workers more for pulling overtime, supervisors can get individuals to work more hours for a lesser charge. Most companies with virtual assistants do not need to set up workstations or provide them with additional equipment. This is considering that these workers supply their own remote working environments, saving hiring companies a great deal of money. There is also no need to pay benefits, hence reducing the amount of money spent on hiring additional assistance. Being familiarized with virtual services lets supervisors customize the experience to their needs. When provided with the needed information, these assistants create a specialized profile. These properties lend themselves to the work, enabling employer and employee to form certain strategies. This knowledge base functions as a program to carry on existing techniques or form new ones. Executives could get in touch with people who understand exactly what they are doing and for whom. This efficiently minimizes training and mentoring expenses. As the final point, obtaining necessary help is important in today’s busy business setting and leveraging virtual assistants an go a long way in ensuring you get the right assistance at the right time!